The largest single employment group in the United States is restaurant workers. Add in hospitality workers and that number of people employed is close to double that of any other industry in the country. It is a vibrant industry full of gifted, creative, and generous people. It is also brutal. Many employed in restaurants or hotels live on the very edge working multiple jobs and without a safety net. It is the industry in the United States with the highest rates of drug and alcohol abuse in the country and the hours required often strain relationships past the breaking point.  Big Table’s goal to see the lives of those working in the restaurant and hospitality industry transformed by building relationships around shared meals and caring for those who are in crisis, transition, or falling through the cracks. This community and care are open to all in the industry without condition. Unexpected 20s- Put a twenty dollar bill in one of the Unexpected 20 envelopes and carry it in your wallet or purse. Then watch for an opportunity to give it to someone in the restaurant and hospitality industry as a surprise. That might be a maid, a cook, a receptionist, a bus boy, etc. You can print the Unexpected 20 template here.